The XOOM has mostly been forgotten by Verizon and Motorola – the last software update brought it up to Ice Cream Sandwich while the WiFi-only XOOM is on Jelly Bean. The One XL is mainly for the international market, but it's very similar to the North American One X – it has a Snapdragon S4 processor and LTE support. This device is running Android 4.1 in the official software channel. 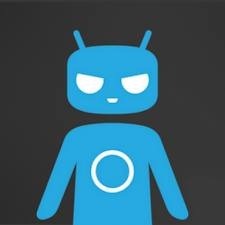 CyanogenMod 10.1 is based on Android 4.2.1, so it has support for the quick settings drawer, photospheres, gesture typing, and all the other new Jelly Bean goodies. The newest build for the XOOM is a standard nightly, but the current One XL build is showing as "experimental." As long as nothing goes seriously wrong it should become a nightly as well very soon. If you're okay with some bugs, feel free to get flashing. Updated to clarify difference between nightly and experimental builds.